ENJOY shopping from the new 2017-18 Idea Book & Catalog, beginning now! This adorable little video will help some of the highlights catch your eye... and it also might make you a little hungry. 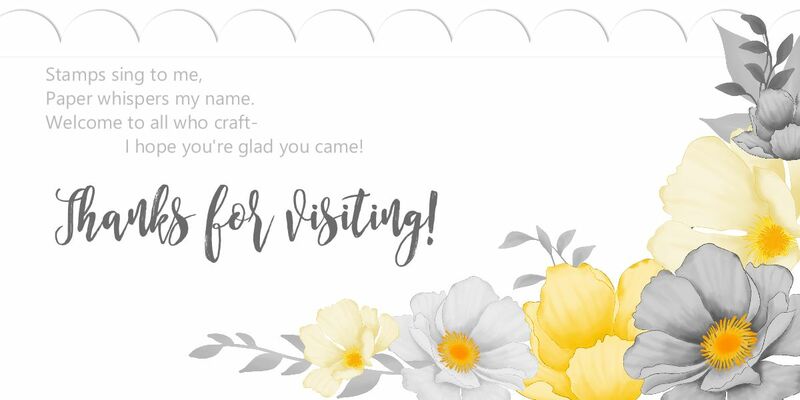 The party begins NOW, when you shop in my Stampin' Up store! Every order during June gets a free handmade card and gift from me--WOW! Now THAT'S what I call "happy mail!" ONE NOTE: the Daisy punch is not currently available to order. I'm sorry! It will be available at the end of June. I will keep you posted! How to get your copy of the NEW Idea Book & Catalog! It's that exciting time of year when I send out the brand new 2015-16 Idea Book & Catalogs!! You are going to FLIP when you see the 188 pages of scrumptious crafty goodness in this year's Stampin' Up offerings. Ordering begins June 2nd! Want to get one FREE in the mail? Place an order of at least $20 between now and May 17th at http://www.Lyssa.stampinup.net and you will automatically be in my customer database (be sure NOT to choose "no contact" or I won't be able to see who ordered!) I won't charge you for the catalog OR shipping it. Your Idea Book & Catalog will come by mail along with a BONUS: a cute handmade card, a free color reference chart, and a note from me highlighting some of the most important new things to see in the new catalog. it's a packet you don't want to miss! You can also get your catalog packet FREE by ordering Cheat Sheets Collections 1-6 for the discounted price of $40 (that's a $20 savings over ordering them individually) through the end of the month. See details on my blog! Email me at Lyssa@songofmyheartstampers.com if you have questions! I LOVE this time of year! View the 2015 Sale A Bration Rewards brochure--free items for every $50 spent! a FREE SAMPLE of our quality Designer Series Papers! Announcing the arrival of the 2014-15 Idea Book & Catalog! Click here to view the new 2014-15 Idea Book and Catalog! Would you like your very own hard copy of the new Idea Book & Catalog? and I will pop one in the mail for you for free!